And you thought Apple was just going to turn everything into an iPad. Instead, they make something that looks like a home appliance designed by Master Control Program, covered in ports. It’s certainly true when it comes to OS X and the long-awaited Mac Pro. Critics of Apple and concerned loyal users have worried that the growing success of iOS and consumer platforms would erode support for the company’s pro users. But evidence of a strategic shift has been largely absent. Sure, Apple has added cloud features, an App Store, and iOS apps to the desktop platform – significant changes. But those are all essentially no-brainer updates, and need not conflict with the needs of pro users or the creative community. The desktop is still a platform on which you can install software from any source you like – app store release or not. Desktop is still the place for high-performance I/O like Thunderbolt. Desktop OS X is still centered around mouse and keyboard. In fact, for all the worries about Apple blurring its tablet with its desktop, it’s been Microsoft and the PC ecosystem that has done that more than Apple – for better and for worse. It almost seems like Apple is unwilling to walk away from the lucrative ecosystem that allows it to sell high-end, high-profit hardware, huh? That should surprise no one. Apple themselves point out their computer sales have grown while the PC has sagged, and they earn #1 spots for desktops and laptops and in customer satisfaction. This formula is working for them as a business. The Apple you know – what you love, what you love – is the Apple on desktop you’re going to continue to get. If you like the Mac the way it is, Apple’s WWDC keynote today ought to calm fears. Apple updated the MacBook Air, but focused on extended battery life rather than rethinking the UI or functionality. You can’t fold a MacBook into a tablet; Apple will sell you an iPad for that. And there are major advantages to that strategy. It’s hard to imagine Apple ever selling you a laptop that will make your arms numb or leave you frantically tapping through UIs designed for a mouse, fat fingers struggling to make a menu open. There are some question marks. Apple mentioned “energy-optimized audio buffering” in a slide, but it’s not clear what that is or if it will have an impact on audio latency. And “inter-app audio” is back on an iOS slide, even more confusingly than last year. (In the past year, Apple unveiled nothing, and third parties created not one but two tools that do the job.) We’ll find out about these and other changes when we can, and all bets are off until there’s something real to test. But the overall story is clear. The Mac in the age of the iPad is getting smarter, not more dumbed down. So, musicians need not worry about the health of the Mac. Of course, this brings us to a certain flagship music production tool called Logic, and there, I don’t think you can be quite as confident. WWDC is not the place you’d expect Logic news, but is a reminder of … the absence of Logic news. Apple is both a hardware and platform company and an app developer. Parsing the two can be tricky. 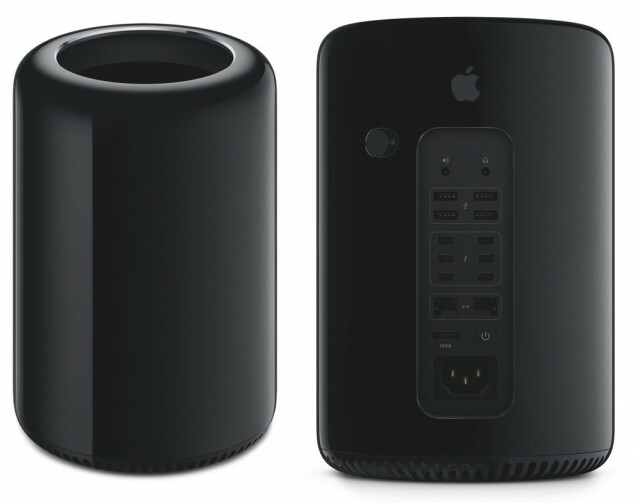 Apple referred to musicians by name in the keynote as a target audience for Mac Pro – the hardware. But not one instant in today’s keynote mentioned music production. Final Cut Pro X made an appearance, with expanded multiple monitor support and the guts to take advantage of the Mac Pro’s new horsepower. All that absurd I/O bandwidth and more powerful GPUs seem to make sense for the video market. It’s the music side that was absent. That may or may not be meaningful, but it means we still don’t know what’s going on. Final Cut is safe; that’s clear. GarageBand is unique and a showpiece both on iOS and OS X. But Logic is a complex, niche DAW with a presumably large codebase that extends back to Emagic days. It’s hard to put yourself in Apple’s shoes and know what you would do with it, let alone read Apple’s mind. And apologies to Logic and GarageBand fans, but Mac audio pros don’t need Apple making apps for the Mac to remain a viable audio platform. (Ask, in alphabetical order, Ableton, Avid, MOTU, Native Instruments, Propellerhead, or Steinberg, for starters.) So, the motivation for Apple to be in the DAW business may be waning. Logic’s absence of updates – even recent maintenance updates – is also cause for concern. It seems to indicate either a lot of work on Logic, or none – making any sort of speculation maddeningly useless. I think Logic as we now know it is almost certainly dead. What we don’t know – and this is fundamental – is whether it’s dead in advance of a genuinely new version, or truly being put out to pasture. We also don’t know how any new version would stack up to increasingly-advanced competition; Apple’s competitors haven’t stood still waiting for the company to release its new DAW. They’ve continued to advance. All Logic users can do is wait. The Mac Pro announcement today is a reminder that Apple sets its own pace. Logic fans can only hope that, like the stuff in today’s keynote, there’s something great that’s taking some time. But either way, fears of the iPad hurting the Mac as a music platform are clearly unfair. Apple isn’t your only choice in music platforms. But it remains in an enviable position in desktop, tablet, and phone – and there’s no reason to think that position is going to change any time soon. Addendum: Apple, if the reason Logic Pro X is taking a long time is that it’s because there’s some ridiculous new version of Sculpture written entirely in OpenCL optimized for the new Mac Pro, oh, yes, all is forgiven. I shouldn’t be writing that here, as it’ll get Logic users’ hopes up. Let’s keep it between us.